Happy Saturday to you!! I have lots to share with you today. I am starting this post early this week so I can keep updating it with some scoop I get. But first off your Saturday recipe! This is my Peanut Butter Cookie Hummus! Yup Peanut Butter Hummus that is so creamy smooth that it’s hard to resist eating it!! Trust me on that one! I made it, tasted it, put it away and then brought it back out for its photo shoot and ate some more. I swear, I could have eaten the whole bowl! I really don’t think that would be hard to do!! The hummus tastes just like peanut butter cookie dough. Oh man! Big mistake making this, big mistake! As I sit here, I know it’s only a few feet away from me and I want so bad to grab my BIG spoon and just eat it!!! But I must resist, since I made this hummus for a reason and that is, to dip my apples in. Earlier this week I was starting to feel ill. I had a sore throat and my energy was depleting. I was told from my Mamavation 5k group that you will be working hard this week and your immune system will dip and cause you to get sick, which is perfectly normal. They said an apple a day will help with recovering and keep your immune system humming! Plus I just read that in Health Magazine that an apple a day will help with allergy relief! You have to love apples. 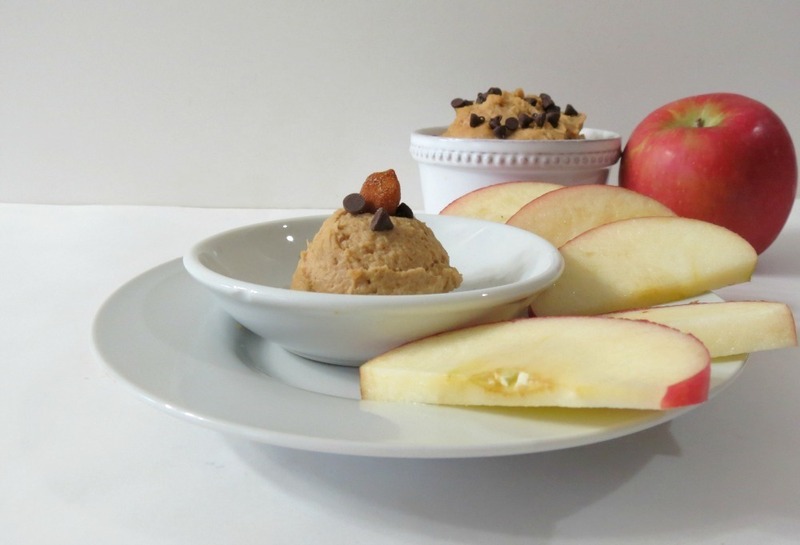 I love a plain apple, but an apple with peanut butter is even better!! So I thought, instead of plain peanut butter, which I have no control eating, why not make peanut butter hummus? It’s healthy, good for you and chickpeas and peanut butter make a fabulous combination. Throw in a little stevia, maple syrup and vanilla extract and you have a perfect replica of peanut butter cookie! Yummy! 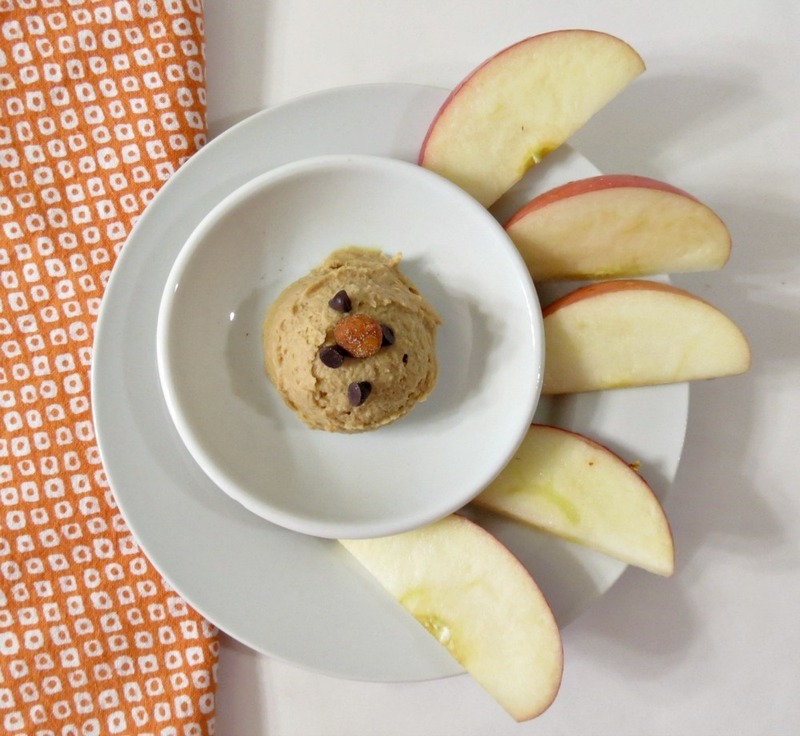 If you’re a Peanut Butter fan, I really think you will like this hummus! Not only can you use it to dip your apples in it, but you can dip pretzels, banana’s chocolate and so much more! You can even smear some on some toast!! 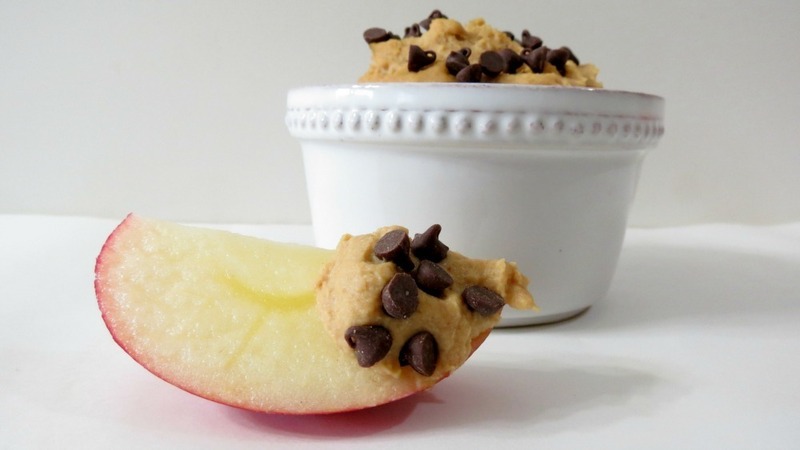 A great thing about this dip, is it’s half the calories of peanut butter! Talk about guilt-free! 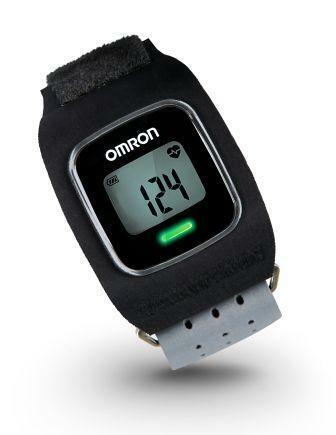 It’s low in fat, high in fiber and low in sugar! Win, win!! One word of caution is the sweetness of the hummus. In my recipe I said to use 1/2 tsp of stevia, but you may want to add more, I actually did. I have a sweet tooth this week, so I wanted it sweeter. So make it with a little stevia or sugar, then add more if you need it. I also add a pinch of maple syrup to it to give it a tad more cookie dough taste. It worked like a charm, but again, adjust the sweetness to your liking. One thing I have learned, is that we all have a different sweet tooth and I was told that some of my recipes are to sweet, so for you I have tried to cut back, and actually for me too! 🙂 I appreciate your comments and criticism. 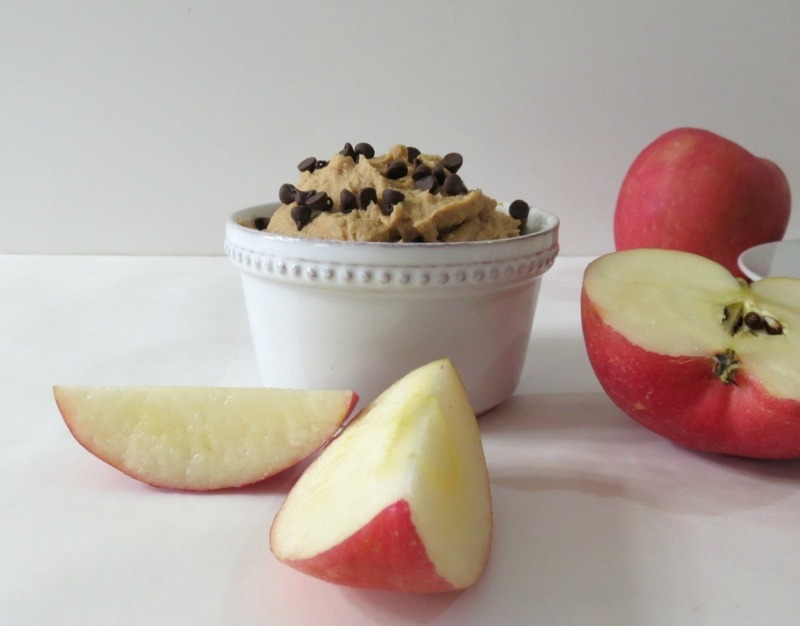 A creamy, healthy dip that tastes like Peanut Butter Cookie dough. Perfect for dipping apples, pretzels, chocolate, bananas and more in. Put all ingredients in a food processor and blend until everything is blended together. To help the food processor move, add about 1 tablespoon of water at a time. Add a pinch more if you don't want your hummus very thick. Refrigerate for at least an hour before serving. For serving you can top with mini chocolate chips. 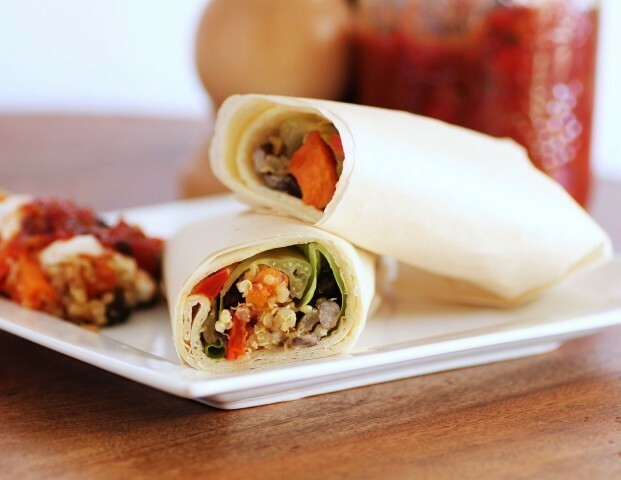 Another great thing that happened this week is that my blogging friend Tara from Noshing with the Nolands, made my recipe for Black Bean and Butternut Squash Quinoa Wraps, and let me tell you she took the most beautiful picture of the wraps. I saw her photo on FoodGawker and TasteSpotting. Wish my picture would have made it there! 🙂 But since she took such gorgeous pictures she was contacted by Spry Living and they asked if they could use the recipe. Tara contacted me right away to see what I thought! I thought it was great! They posted the recipe with Tara’s picture and gave me the credit for the recipe. Talk about team blogging!!! Here is the link to the online magazine article if you want to check it out. I hope Tara doesn’t mind, but I am using her photo since it’s picture perfect. You should check out Noshing with the Nolands for the most scrumptious recipes and beautiful photos. Thank you Tara. 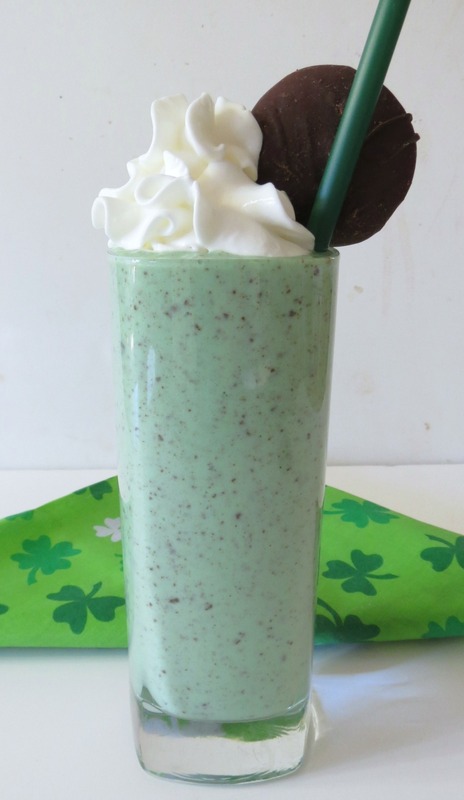 I’m pretty stoked when I saw that Yahoo Shine Food featured How to make a McDonald’s Shamrock Shake at home. They said they like the healthy version by Peanut Butter and Peppers. Yah!!! I can’t believe my name was on Yahoo!! 🙂 Here is my shake! In Friday’s e-mail I got one from Hungry Girl showing the nutritional values at some popular restaurants, some good some bad. I really love to read this stuff. Here’s the link if your interested. By the way, do you know Panera Bread has a secret menu? They do, and their steak and eggs made the good list. I never told you Guys but Little Jenny now works for Panera Bread. She went from Round Table Pizza to Panera. I think that was a good change on her part. She’s been there for a few weeks and loves it!! As some of you may know, Google Reader will no longer be available as of July 1st. But don’t worry you can still catch all of your favorite blogs at Bloglovin. It’s a great site and I think you will like it. You can subscribe to PB and Peppers here, if you would like, or just click the little icon below. Here is a fun St. Patty’s game: What’s your Leprechaun Name? 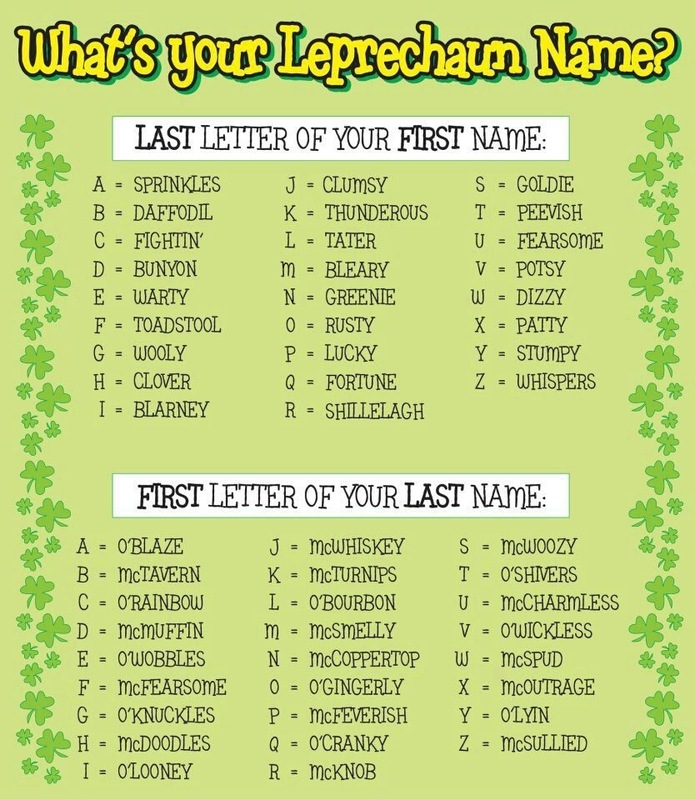 My name would be Shillelagh McMuffin (lol) What would your name be?? 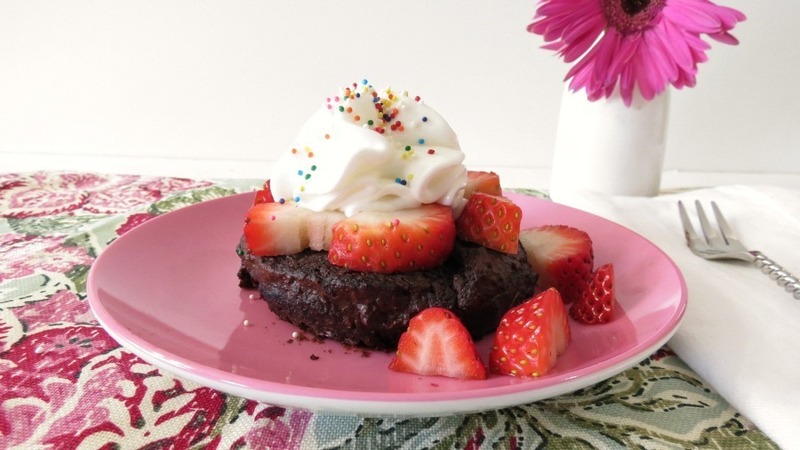 Monday: Chocolate Mug Cake – #SRC – This was the first time I ever made cake in a mug, and I was impressed! This cake is ooey, gooey good. Almost like a brownie!! This will make for a healthy, low-calorie cake craving that I get on occasion!! 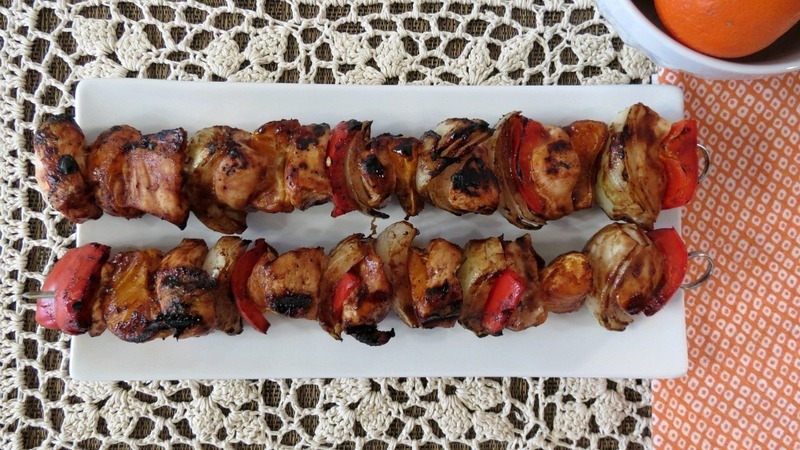 Tuesday: Mandarin Orange Chicken Shish Kabob’s – I love these Shish Kabob’s! The leftovers are great! I cut up the chicken into smaller pieces and put it in a pita shell with lettuce, some tomatoes and more BBQ Sauce. The chicken was just as tender the second day as the first day! 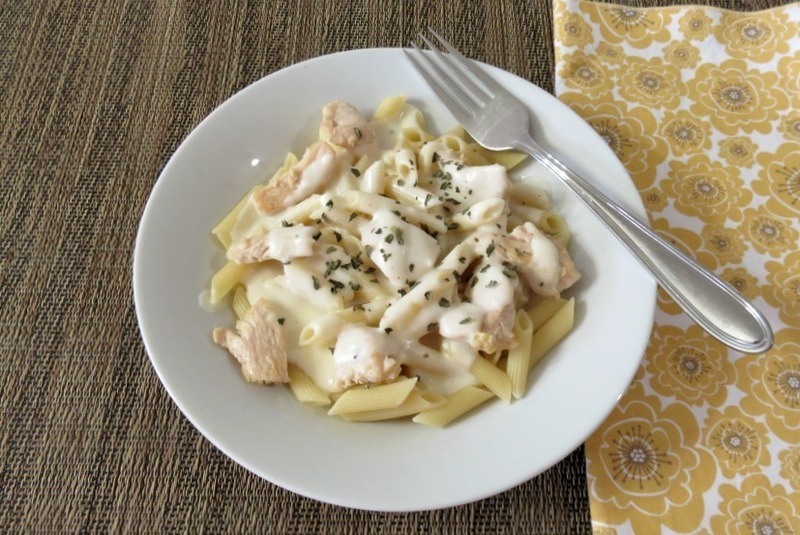 Wednesday: Three Cheese Chicken Alfredo – I loved this pasta dish and so did my Husband! But before he could tell me if he liked it or not, he asked is their Greek Yogurt in it? I told him no, and their’s not any, then he liked it! I told him he’s like a kid when it comes to food! He won’t like something if he knows what is in it. 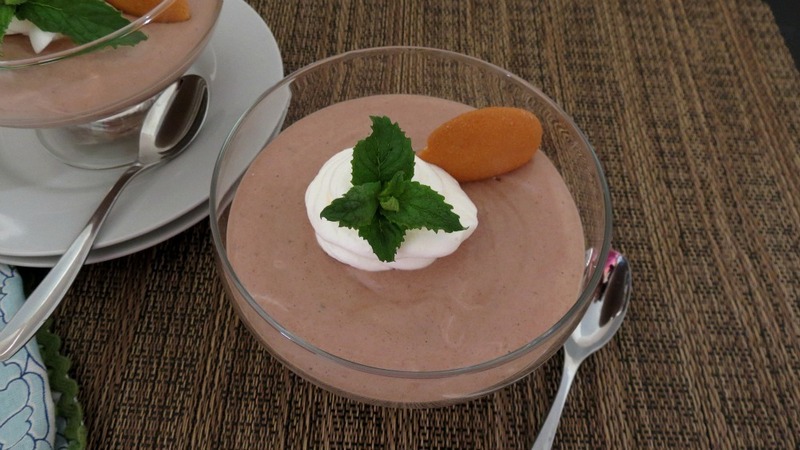 Thursday: Bailey’s Chocolate Pudding – This pudding was a hit with my family! My Husband actually ate it two days in a row and there is yogurt in this one!! This is a nice guilt-free pudding that is perfect for a light dessert. 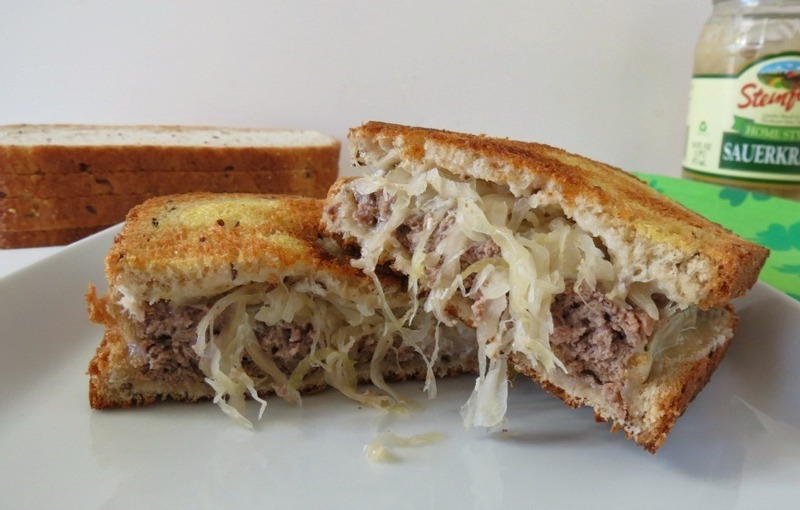 Friday: Irish Burger – This is one burger that I will make again and not wait till next St. Patty’s day to have it! I have to say for homemade burgers, I agree with my Husband, baking them makes them so tender and moist. I think when I grill 96% lean ground beef on the grill it tends to dry out, but baking it with an egg, ketchup and seasoning, it makes all nice and moist!! Just don’t tell my Husband I agree with him! 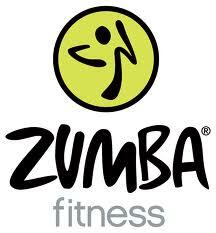 Well my Friends, I am tired and want to rest up for Zumba tomorrow. I think I gave you lots to read and look at. Have a great St. Patrick’s Day if you’re celebrating. If not, like me, enjoy your weekend! P.S. 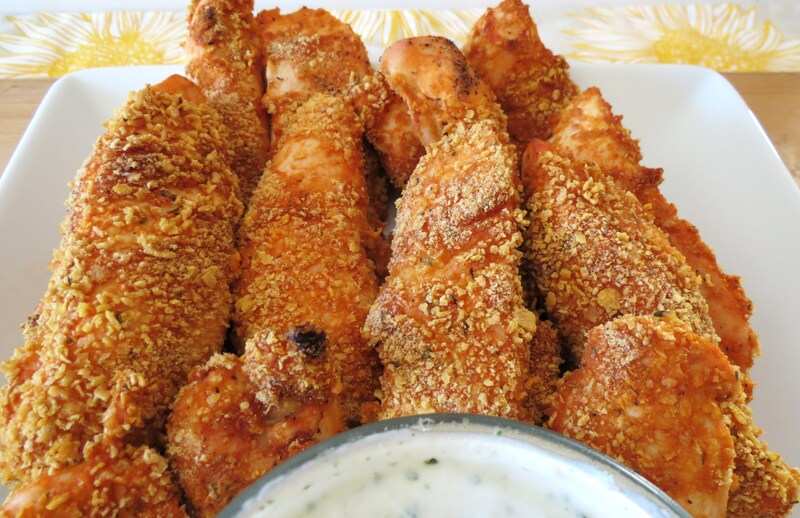 This weeks craving is Breaded Buffalo Chicken Fingers. Oh peanut butter how I love thee! I will definitely be making and devouring this dessert hummus this weekend! Oh Joanne, I couldn’t agree with you more! Oh Peanut Butter how must you torcher me with your creamy, deliriousness!! I hope you’re on the mend. This looks fantastic. A real kid pleaser. I can’t wait to make it for my nephew. In fact, I can’t wait to make it for myself! Thanks Kristi! I feel a little better, but my darn nose won’t stop running! Ugh!! If you try the dip let me know what you think! You are such a creative genius! This looks like one super addicting and delicious dip! Thanks Laura! I love it and I have to refrain myself from eating it all!! 🙂 Glad I could make you laugh….. But I have to tell you, “McNob” is not very flattering…. Hahahahaha! I’m don’t really like peanut butter very much. I wonder if there is something else that would work well instead…I might try it with almond butter (depending on the brand, it may even be lower in saturated fat, sugar and salt.) Any other suggestions instead of peanut butter? Hi Nicky, I actually debated about trying this with almond butter! I bet it would taste great! Maybe add a sprinkle of cinnamon in it! 🙂 Even Sunflower Butter may taste good too! I’ve made cookie dough dip like this before and it is pretty good. I think I needed to process the beans a little more though. Then I tried making it again and used white beans and I think I liked it that way more. Made it more silky and creamy I guess. I would be Sprinkles O’Knuckles. Meh. Awesome recipe, btw. Very creative! Oh my goodness- I cannot wait to try this! Thanks so much for sharing, found you through Time to Sparkle!! Jennifer, you’ve had the most delicious week in history, ever! (I’m not going to bother researching to see if that’s true or not). I wish I were right there with you, eating every single dish. Also, congrats on the collab with Tara and the shout out on Yahoo. That’s awesome – much deserved recognition! 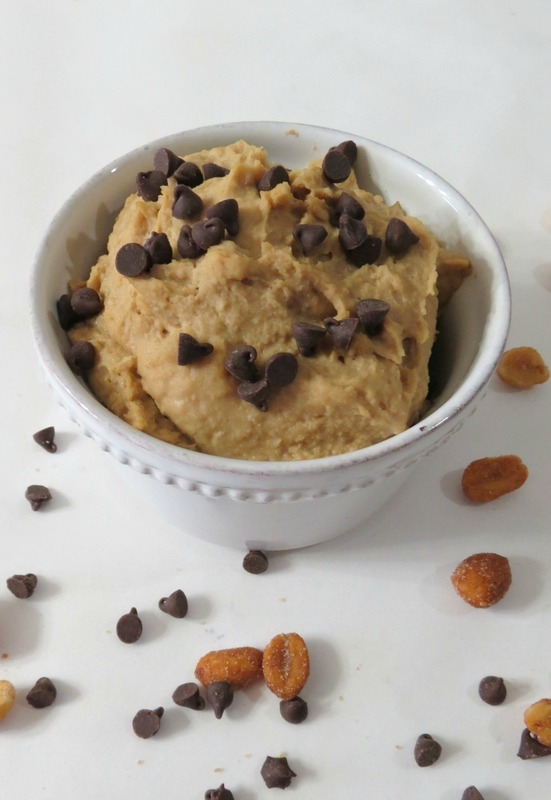 I am seriously going to make that peanut butter cookie hummus, asap. Because the title has the word “hummus” in it, it’s totally a health food, right? I wonder if you use natural peanut butter in recipes like this. I did and need a little more sweetener than the recipe.